The Soviet RDS-220 hydrogen bomb—codenamed Ivan—is known in the west as Tsar Bomba: the King of Bombs. It is the most powerful explosive ever created and has only ever been tested once. 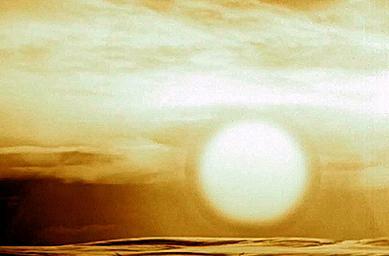 The Tsar Bomba was tested in 1961 inside the Arctic circle. It was so heavy that it had to be loaded onto a specially modified plane. Under normal circumstances, the plane couldn’t carry it in its missile bay, and would not have enough fuel to deliver it to the target. The plane was also painted white to help against thermal damage—though they were given a 50% chance of survival. The bomber and a small observation plane were the only ones to observe the bomb going off up close. Thankfully, both survived, living to speak of what they saw and return with a few photographs of the man-made disaster. Detonating 13,000 feet above the ground, Tsar Bomba released 1,570 times the combined energy of the Hiroshima and Nagasaki bombs dropped on Japan during World War II. The yield was equivalent 10 times the energy released by conventional explosives during the War and equaled about a quarter of the eruption force of the Krakatoa volcano’s eruption in 1883. To date, it accounts for 10% of all energy released during nuclear weapons testing. The fireball was 5 miles in diameter, and the mushroom cloud reached 35 miles into the sky. The heat was enough to cause 3rd degree burns 62 miles away, and windows were shattered as far away as Norway and Finland because of the blast. Despite the ferocity of Tsar Bomba, no human lives were lost in the test. Though the bomb yielded a blast equivalent to 50 megatons of TNT, it could have theoretically doubled that with a small modification. To limit the amount of fallout caused by the test, Soviet engineers fitted the bomb with a lead tamper, rather than one made using uranium. The tamper helps reflect neutrons ejected during fission to prolong reaction, but a uranium tamper using the U-238 isotope would have resulted in a theorized 100 megaton reaction. Once tested, no plans to actually use the Tsar Bomba class hydrogen bomb were ever made. 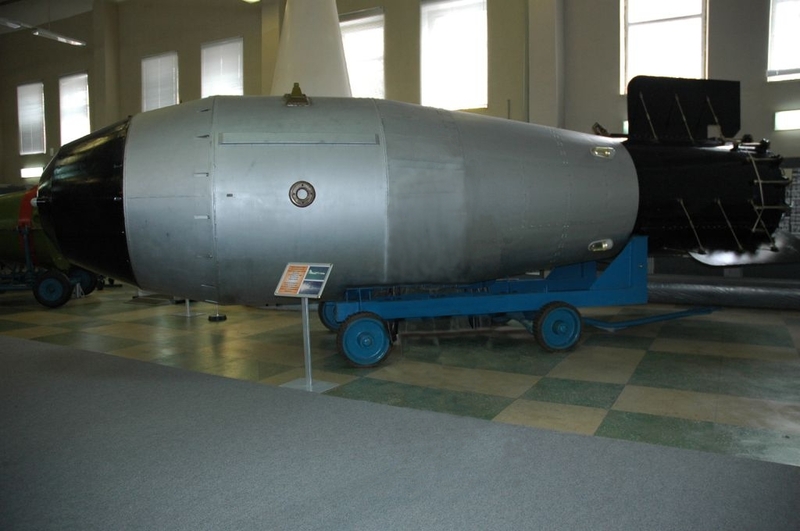 The extra casings meant to contain the bomb are now in Russian museums.